Shortly after Benedict was elected, I wrote him a letter, pleading with him to celebrate publicly our traditional Latin Mass. 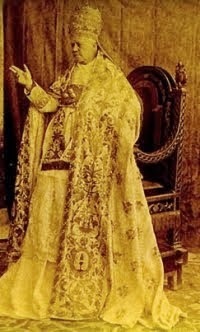 I reminded him of the example of Pius VII, who, while in France, for the coronation of Napoleon, celebrated faithfully. The people erudite and rustic attended and sang the Credo with him. The pontiff's example went a long way in stopping the liturgical lunacies of the Jansenists. Sadly, Benedict never did. I think he was, like John Paul II, scared of the bishops, and, as you say, terribly conflicted. You sir, are quickly becoming my favorite blogger. As a devout brick by bricker I must say you have a good point. One of the things I've been thinking about is that if we wait too long to restore tradition in formerly Catholic countries then the modernists could have a firm grip of places like Africa and Latin America, where the Church is not dying and our best hopes is to expand there as well, especially there. This might be a naive thought but a smaller church could facilitate the restoration, but as seen as with collapsing churches such as the Anglican one they are beyond hope even though they are smaller, and the same could be for Rome. On the point of "brick by brick" I think there's a certain sense I think we can give to it, albeit not the one as outlined above. To me it has always been the way I see myself working toward the final goal: I make sure I lay the bricks even though the earthquake is on its way because it's for God's glory. Something akin to a banner I saw a couple of years ago: "Even if the world were to end tomorrow, I'd still plant a tree today." * As an aside, I think even talking about VII as "the Council" subconsciously enforces the mentality of VII as "the biggest thing that ever happened in Church History". I agree. To the degree that brick by brick means that we take what we can get and move along one day at a time, that is simply the way anybody moves towards a goal. But the theory I have described also included the idea that the scattered bits of good news we occasionally hear constitute a "trajectory" towards restoration, and -biggest assumption- that the popes have some sort of "grand plan" for getting the Church back on track. These are the characteristics of the approach I am critiquing here. 1) "Brick by brick" and "Biological solution" goes BOTH ways. Liberals grow old? So do conservatives and traditionalists, and it is not true that all young clergy are conservatives and the only liberals around are old. Or that only conservatives enter seminaries. If there is anything we have seen in the last 50 years it is that young conservatives have a frightening tendency to turn or reveal themselves as liberal as they grow older -- how many of today's liberals were once conservative darlings? Think Cardinal Schonborn. Think Cardinal Mahony. Even Cardinals Kasper and Lehmann used to be considered part of the "conservative " wing of the German Church! Never underestimate the power of Church politics and conformism to change opinions and transform people. The last two years alone have shown the power of this reality. 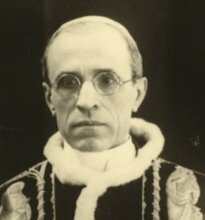 How many Cardinals and Bishops who used to be vocal about the restoration of traditional aspects of the liturgy have suddenly gone silent -- if not immediately after March 13, 2013, then after a couple of months? Do you still hear or read any prelate invoking "hermeneutic of continuity"? I agree in theory, and yet... What exactly is to be done? I have been ready for a revival in my parish since I came home, but how? Great points...and...as a prime example of the phenomenon you mentioned about "conservative" darlings turning liberal, look at the meteoric rise of Cardinal Dolan among the neo-cons pre-Conclave when he was trumpeted as a conservative papabile - now he has outed himself as just another liberal in only a year and a half. My biggest complaint of the Brick by Brick blog is that it is heavily into food, beer, travel, and an immature patriotism. That having been said, I still check in regularly. On the other hand, Pope Francis is clearly giving the lie to claims that the pope's authority "ends at that door." Pope Francis is doing what he wants, when he wants, and with whom he wants. Shows that the other popes were either pansies, or were not capable of commitment and/or sacrifice. It'd only take one or two bricks, thrown by a good pope, to turn things around. Let me add this, please. As the situation grows worse, two different forms of delusion are taking hold of both conservatives and traditionalists. 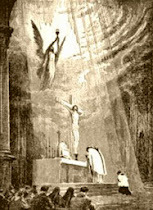 Traditionalists tend to focus on the nice bits, here and there, of good news about the TLM -- and then proclaim that this and this alone is the "future of the Church"! Perhaps the worst example of this that I've seen in recent months was the jubilation in some blogs over projections that in a little more than 20 years, Traditional Catholic priests (SSPX + Ecclesia Dei + birituals) will outnumber the secular clergy in France. I'm quite familiar with the statistics myself. This projection may be true, but it has little to do with growth in the Traditional Catholic congregations, and has more to do with the collapse of French Catholicism and of the French clergy. Celebrating this makes as much sense as being happy that one now has the biggest chapel in the city, because the enormous Basilica that used to tower right beside it has fallen down. Among conservatives, the delusion takes the form of assuming that liberalism is an exclusively Western European and North American phenomenon, while the rest of the Church (Asia, Africa, Latin America, Eastern Europe) are safely and solidly conservative. A good example of this: recently one of the Patheos Catholic bloggers wrote an article asserting that we should not worry because the future is with the "Burkeans" and not with the "Kasperians" -- after all, the majority of the papabili in 2013 were "Burkeans"! 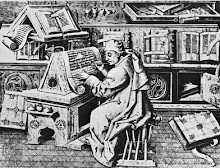 He overlooked the obvious flaw in his argument, namely, that the College of Cardinals with a supposedly "Burkean" majority of candidates still ended up electing a Kasperian. If a group of electors that was entirely appointed by John Paul II and Benedict XVI still elected someone like Francis, what makes anyone think that a Francis-appointed body of electors (which it will be in about 5 more years) will suddenly elect a Burke? It is crazy. Asian and African Catholicism may be conservative when it comes to morals, but not when it comes to doctrine and liturgy -- much of the craziness in syncretism and the worst excesses in interreligious dialogue have happened with the Catholics of Asia. Africa has a well-known problem with clerical celibacy, and in Africa and Latin America Catholicism is under siege from an Evangelical Protestantism that, at least, offers a simplistic but firm doctrine -- no Jesus, no salvation. Over and above these is the fact that the Catholic Church in Africa, Asia and Latin America does not have the same strong cultural link to Catholic Tradition that the European Church has. For better or for worse the battle for Tradition and orthodoxy will have to be fought in Europe and North America. Pardon me for sounding so pessimistic -- but the truth has to be told. If, perhaps the supporters of Tradition and orthodoxy are not praying and fasting as hard as they could, perhaps this has much to do with them not really knowing the extent of the crisis. 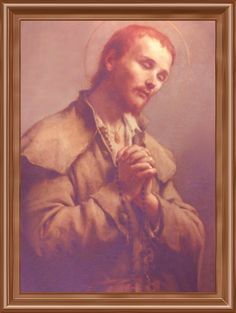 I believe that only when Tradition-minded Catholics wake up to the real extent of the difficulties of the Church will they begin working and praying as much as they should. Yes...the Weigel crowd has always consoled themselves with the "future of the church is in Latin America" argument. We can see how that is working out right now, no? Eh? They have a very simplified definition of what it means to be a "conservative", which they take to mean simply "prolife". A prolife bishop is conservative. But the church has always meant something different by "liberal" than liberal on moral questions. As far as what is to be done, I am here critiquing a mindset, not a program. As with many other problems, simply admitting the truth of the situation would be a good start. A very good and realistic essay, which stimulated much good comment. I agree especially with the observation that there is no guaranteed biological solution. Most of the younger supposedly conservative leaning Catholics I know are totally divorced from Tradition, and they are a big majority of the frequent Mass attendees. The biggest difference and stumbling block between conservatives and the progressives is that the progressives are not afraid to show the courage of their convictions. Progressives are ruthless. Conservatives/traditionalists are squeamish. And I am not even saying that Trads don't want to use improper means - it seems they are afraid of using even proper means to achieve their ends. For all his talk of "be not afraid," seems JP II was rather afraid of crushing dissent even though he had every right to - nay, it was his job to do so. Same with BXVI. Good point. The reason is that they committed themselves to the vision of collegiality, by which the Roman pontiff "respects" the autonomy of individual bishops. Once the popes started giving away their power and decrying papal centralization, how could they turn and crack down on heretic bishops and theologians without looking like they were going back on their commitment to collegiality? Again, at least Francis understands the nature of power and is not afraid to use it. There is a lot of good content in what you write, but the picture you boldly posted on this page is disrespectful and inappropriate. You speak from both sides of your mouth to write that whilst you disagree with this priest (who you've made a point of very well tangentially identifying yet for some reason refusing to name), you respect this priest...but then you take a picture of him and mock him publicly. C'mon, you cannot be serious. That is ridiculous. I'm not a fan of this priest myself for other reasons than "brick by brick", and I will likewise not state his name, as I don't wish to emboldening you. But disagreement with a person should be neither a justification for, or nor a motivation to, publicly portray your adversary as a clown. To do so must apparently be some attempt to bolster your position, and it is utterly childish. If your point is strong and your argument congruent in the first place, you don't need such insulting hyperbole as that photo-shopped picture. You have no justification for portraying the priest in that fashion. It is improper; you should remove it, and you should send that priest an written apology. Don't be absurd. There is nothing in the post itself attacking the priest on a personal level or saying anything uncharitable about him. The Trollface meme picture does not indicate that one is trying to "make him look like a clown"; it just indicates having fun with something or goofing off. I am not speaking out of both sides of my mouth; I am simply critiquing an idea and have not made any personal attacks against the individual in question. 1) I agree with Anon above about the disrespect towards the priest in question. We all know who it is. To mock someone's likeness is not charitable. 2) I do not agree with the brick by brick idea supported by the priest in question, nor do I disagree with much of what you've written, but I do wonder about your first point regarding time and gradualism if that is not how God often works with us, individually? Conversions sometimes take time and happen seemingly invisibly. Could it not be the same with the Church, even well apart from this brick by brick stuff? 3) What are we laymen to do? What is the answer to all of this, the right 'plan'? Seriously, what should you and I do, practically, realistically? 1) Making a caricature is not disrespectful. 2) This issue is not one of gradual change per se but of presuming that a certain "line" or "trajectory" towards restoration exists when in fact it doesn't. 3) What do we do? Start by admitting the trajectory does not exist. 1) A caricature as I understand it can be either positive or negative, complimentary or insulting. I think a good rule of thumb on the internet ought to be that if you're going to use someone else's likeness for your 'fun', then you ought to let the public have at yours as well should they so desire. 2) I know that the line or trajectory is illusory as it has been articulated as an overall sea change for good in the Church, but if God is restoring at all, then perhaps the points often noted as signs of hope do represent the gradual work that God is doing, and so is significant at least as far as those individuals involved are concerned. 3) Many already admit the trajectory does not exist. So then what? What do readers of this blog and the Remnant, etc. who are on board with what you're saying do? Do we keep writing and writing until others listen? For me, "Brick by brick" was always understood to be a "bottom up" phenomenon, for the most part. Perhaps the mileage of others (like Fr Z) varied. I don't know exactly what John Paul II and Benedict XVI had in the way of "plans." From what I've been able to gather, if they had plans, they were limited ones, with limited scope and ambitions. To seed particular promising regions with better bishops (like the American Midwest). To create some critical mass of traditionalism that might contribute to something down the road. Who knows? I expect they had their reasons for refraining from more. Perhaps that there wasn't enough support on the ground to do more. Perhaps because it might have provoked major schisms (look how much opposition that the Catechism, Summorum, the Ordinariates, and MR3 - all very modest efforts - encountered). Perhaps because of a failure to share our diagnosis of the crisis (more likely in JPII's case). Perhaps those concerns were right. Perhaps they weren't. Perhaps they were right and should have gone ahead anyway. So "bottom up" is how I proceed, because I don't have any other option; I'm not going to be Pope. I help lead a local Juventutem chapter. We try to train priests. We train servers. We set up chant workshops, help build scholas. Get more TLM. More spiritual retreats. Perhaps before long we can get an Ecclesia Dei society to run a parish. We pray. We do spiritual and corporal acts of mercy. There's always risk, of course: you can build a Blackfen or an Our Saviour and watch it all ripped down by a new cleric. But that's just our lot. Otherwise, what's our other options? Despair? Go Orthodox? I could run off and join an SSPX or sedevacantist chapel, and that would certainly remove any risk of a liberal prelate ruining my day, but those communities have their own sets of problems. I say that without any rancor or judgment of those who have gone the SSPX route, since I object to the very same things that drove most of them in those directions. But those just aren't options for me. I'm committed to rebuilding Tradition in the Church, and I know it's going to be a very long slog, one that will not be consummated in my lifetime. You are usually good at ascertaining the situation, but you are completely wrong about the current situation and about what the brick by brick mentality really means. How did you miss this? That's a really good argument, Glendon. What does NuChurch stand for? Nu? Thank you for the post! Never heard the term "brick by brick", but have heard that all will change when the liberals die off, etc. Good to know that someone else thinks that there was no restorationist plan. 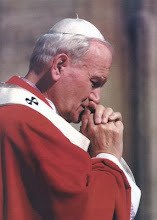 John Paul II said right off the bat that he was following Paul VI's program to implement Vatican II. That's what he, Benedict, and Francis had in common. However, none of them received their youthful formation in the post-Vatican II church, and doubt if any of them thought seriously about how the changes would roll out for the rank and file, although things appear to have gone better in Poland than in North America. Perhaps that's why we have World Youth Day now - so the Pope can say to himself that the changes are really working? I'm with some of the other commentators. The image is disrespectful. If you knew him and he knew you, would you still post such an image? I was originally drawn to the blog because it was free of some of the excesses of other traditional blogs. I hope that this does not change. You do amazing work here and I have learned tons from you. 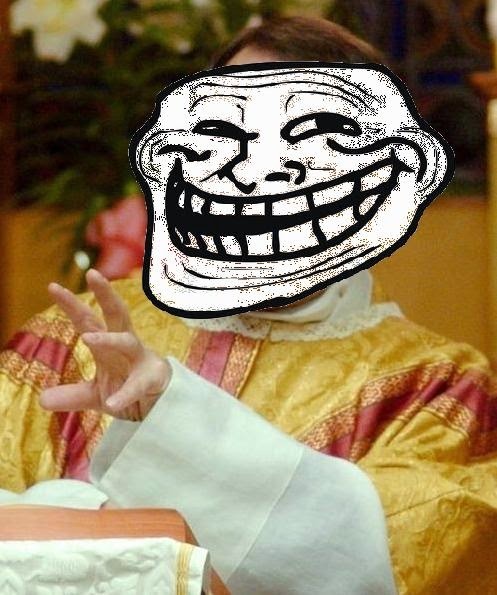 Please don't mock or charictature good priests and allies in the fight! It's just my opinion (and I don't expect that anyone will agree with me), but brick-by-brick has been hired by someone in Rome in order to placate traditionalists, which he does a good job of. The rad trads have to be calmed down whenever and however possible (or at least some of them). "My biggest complaint of the Brick by Brick blog is that it is heavily into food, beer, . . . travel . . ."
Then write your own blog that doesn't talk about food, beer, or travel. Good grief. On the main question, I've read Fr. 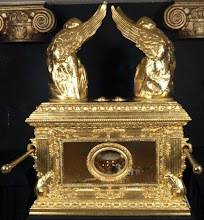 Z's blog for a long time, and I never got the impression that it was his thesis that the various "brick by brick" things he highlighted were pieces in a calculated effort at a gradualist Traditional Restoration on the part of the Holy Father. Many of them were never even connected to Rome, they were the result of purely local initiatives. That tagline was just shorthand for the principle that you build an edifice, physically or culturally, a little bit at a time. 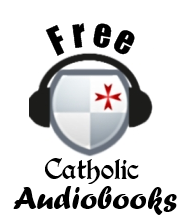 Did Benedict have a plan for the renewal of the Church? Perhaps. It certainly didn't work, but Benedict was absolutely beset by obstruction. 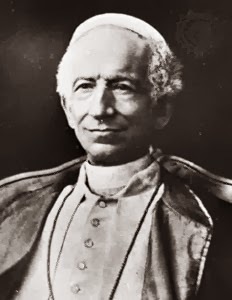 If he had been surrounded by men who believed in and would have competently implemented his plans, he would certainly still be reigning and the end of his papacy would not have been a tabloid subscription. I think we underestimate how easy it became for the curia and the papal household to isolate and undermine the pope. Does that make Boniface's article entirely wrong? No, not in the least. But there's some more nuance here than he hints at. Well, Fr Z is certainly not the only one who uses this approach, so don't take this as applying to him alone. "Please do not misunderstand this as an attack on anyone who has held to or promoted the brick by brick mentality." In fairness, however, it's rather difficult to see the graphic chosen to accompany this essay as anything but an attack of sorts on Fr. Z. A critique is not an attack. I would agree in characterizing the essay itself as a critique, not an attack. But the graphic...is something else. And it's the graphic I was taking note of, not the text. It's a lot sharper edged than your essay. Humor and caricature is always a grey area where people disagree. I personally do not see the use of the troll meme as an attack. It's more of a "having fun with" sort of thing. But I appreciate your concern.